International Review of Cytology presents current advances and comprehensive reviews in cell biology - both plant and animal. Authored by some of the foremost scientists in the field, each volume provides up-to-date information and directions for future research. 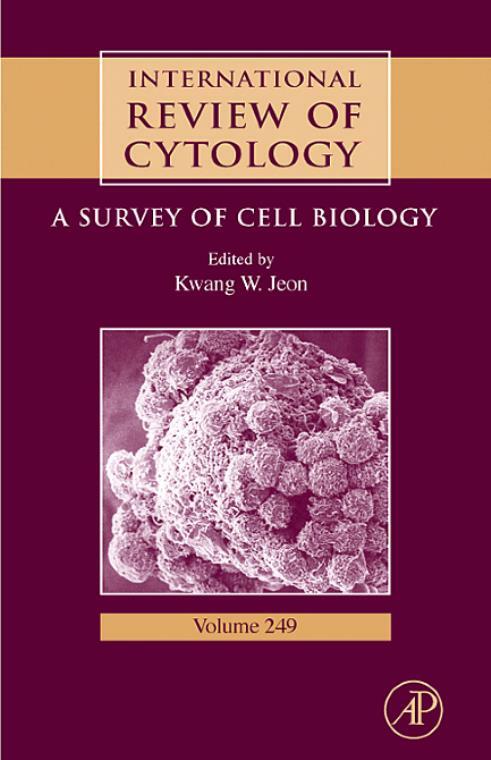 Articles in this volume address endogenous ligands of PACAP, VIP receptors in the autocrine-paracrine regulation of the adrenal gland; ultrastructural dynamcs of human reproduction, from ovulation to fertilization and early embryo development; chromosomal variation in mammalian neuronal cells; automated interpretation of protein subcellular location patterns; cell and molecular biology of human lacrimal gland and nasolacrimal duct mucins. Endogenous Ligands of PACAP, VIP Receptors in the Autocrine-Paracrine Regulation of the Adrenal Gland. Ultrastructural Dynamics of Human Reproduction, from Ovulation to Fertilization and Early Embryo Development. Chromosomal Variation in Mammalian Neuronal Cells: Known Facts and Attractive Hypotheses. Automated Interpretation of Protein Subcellular Location Patterns. Cell and Molecular Biology of Human Lacrimal Gland and Nasolacrimal Duct Mucins. Kwang Jeon received his Ph.D. in cell physiology at King's College, University of London, UK, in 1964 and taught at SUNY Buffalo and University of Tennessee. His research was concerned with the biogenesis and function of cell components in two major areas: Integration of intracellular symbionts into host cells leading to the acquisition of new cell components and cell variation; Membrane-protein recycling during endo- and exocytosis.